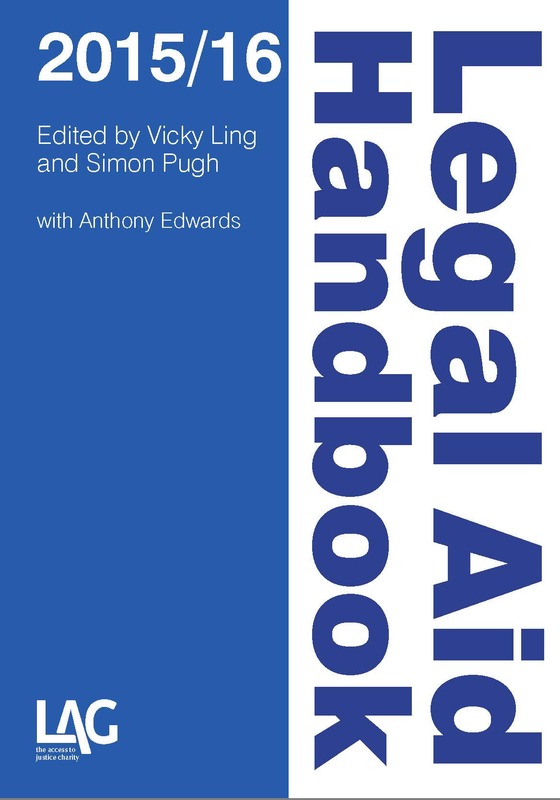 The new edition of the LAG Legal Aid Handbook will be published in mid-September. With more content than ever before, it’s the only comprehensive guide to the whole legal aid scheme and is packed with case studies, checklists and practical advice. It’s right up to date, with full discussions of the latest caselaw and the recent changes to the civil merits tests. The crime chapters include a full guide to the new duty and own provider contracts starting in January 2016, and for the first time, we’ve included separate chapters on housing cases and exceptional funding. We welcome back our collaborators Anthony Edwards (crime) and Steve Hynes (policy), and for this edition are delighted to add to the team Solange Valdez (immigration) and Richard Charlton (mental health). For the first time, purchasers of the book will get access to a supporting website containing the full text of the Handbook, which we will keep up to date between editions – so your copy will always be right up to date. We’ll also continue to support the Handbook through our regular news updates and case reports, and our comprehensive resources page. The 2015/16 LAG Legal Aid Handbook is available to pre-order now.